Idea Keepers make great gifts – so two more were created to increase the Gift Stash! 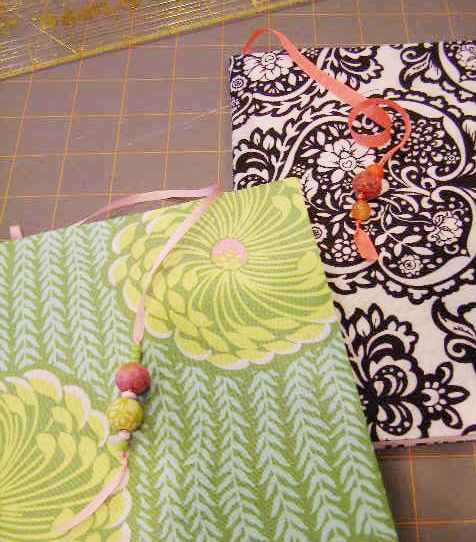 Cut fabric and adhere to outside cover (see 62 Cent Idea Keeper for steps involved). 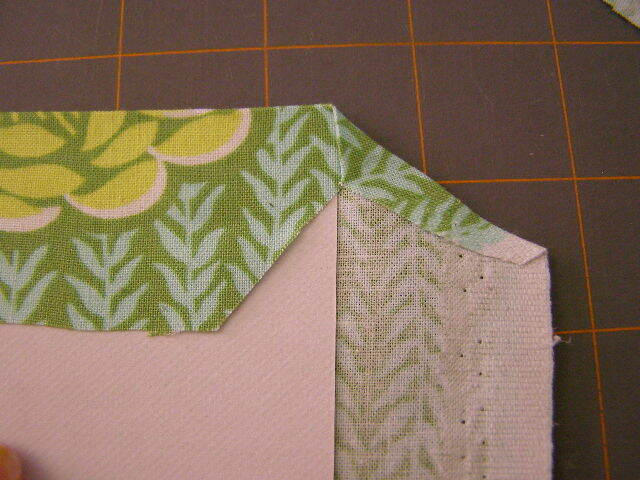 Photo 3: Fold down corner of fabric along cut made for spine. 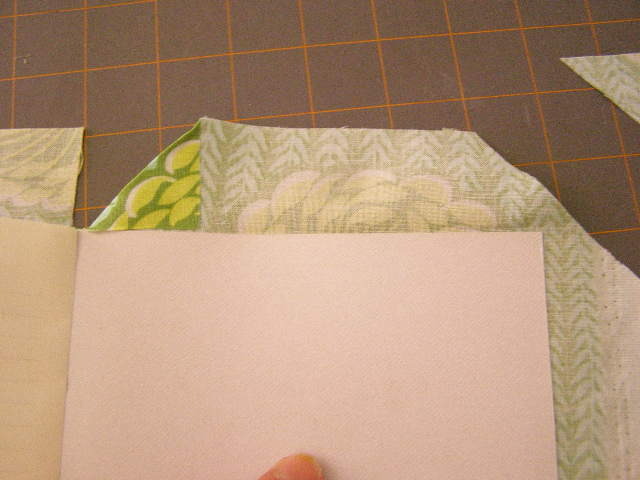 Fold spine cut edge to inside forming a 45 degree angle along upper edge of front cover (Photo 3). 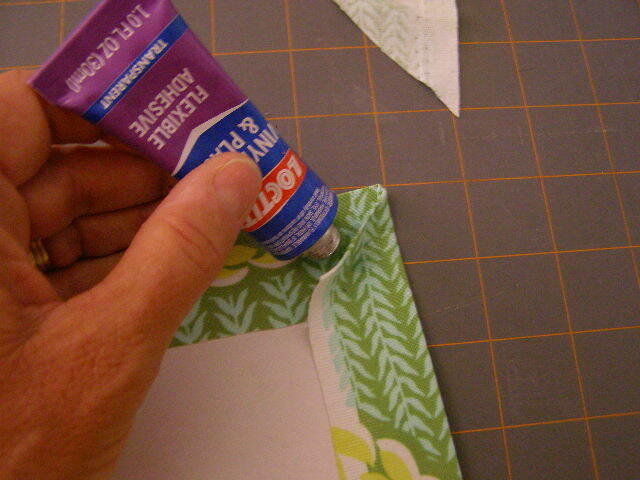 Repeat these steps with lower edge of front cover and apply spray adhesive to inside of remaining fabric flap. Photo 5: Fold raw edge down at corner. Fold raw edge of triangle cut down to form corner. The vertical fold line should follow the edge of the notebook. Repeat these steps for lower edge corner. Spray fabric flap with adhesive. Photo 6: Upper and lower corners folded. Ready to glue remaining fabric flap. 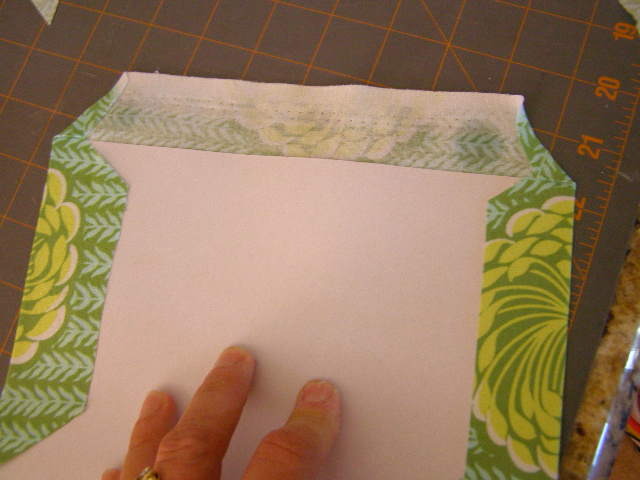 Fold fabric flap in and secure, smoothing to avoid bumps. Photo 7: Extra holding power required at corners. Place a piece of foil between the first page and the cover and turn notebook over. Repeat these steps for the back cover. 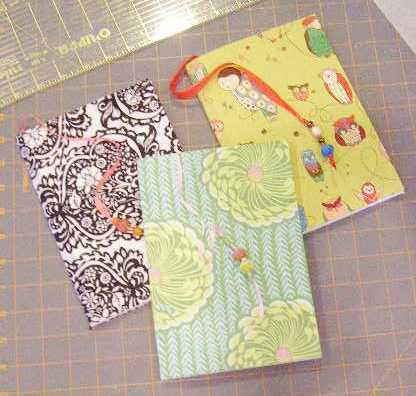 Inside covers and beaded page markers. 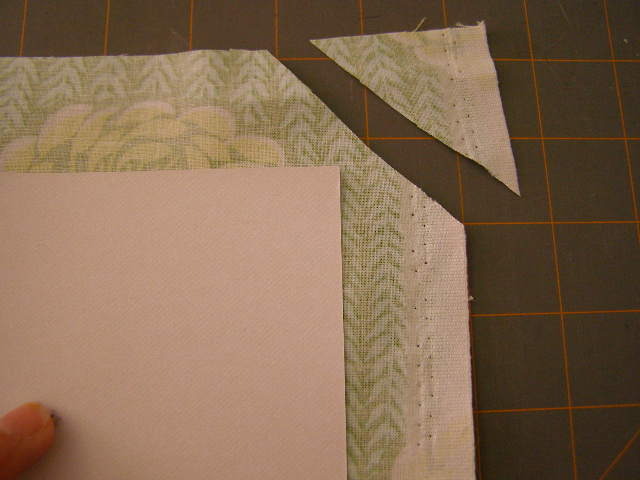 Cut decorative papers for inside covers and adhere as noted in 62 Cent Idea Keeper. Bead page markers and embellish as desired. Ready in Gift Stash when the need arises for a useful and personalized gift! Beaded Page Marker Detail - note the perfect corners! 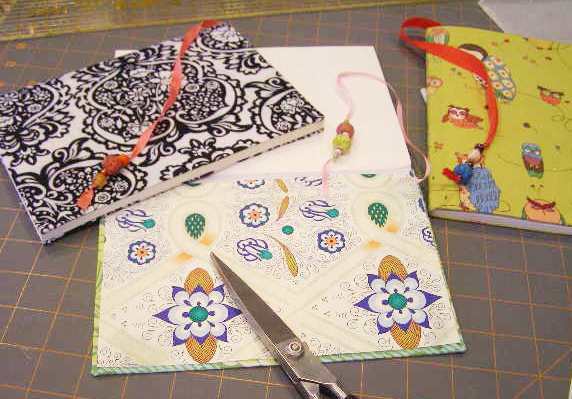 This entry was posted in Accessories, Embellishment, No Sewing Fabric Projects, Stash Couture, Tutorial and tagged fabric journal cover, how to make journal cover, journal cover. Bookmark the permalink. These notebooks are lovely. I want to make a big pile! SOOO pretty! 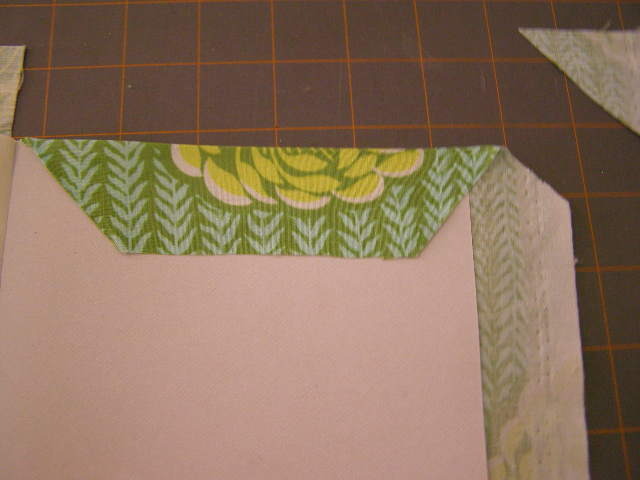 I just made some with scrapbook paper, but I REALLY love the combination of fabric AND paper you use . . . and the page markers! Thanks for sharing!